San Antonio, TX, United States (4E) – It is rumored that WWE Royal Rumble next year will see HBK , Stone Cold Steve Austin, and Undertaker in order to boost ticket sales as it has been announced that the event will be taking place in Texas years after it was last held there. WWE Royal Rumble will be held next year at the Alamodome in San Antonio, Texas. Accordingly, Texas native Stone Cold Steve Austin will help boost ticket sales if he will be making an appearance at next year’s WWE Royal Rumble. Royal Rumble being held in Alamodome next year will be historical because the last time that WWE held the event there was in 1997. During that time, Stone Cold Steve Austin won the Royal Rumble unfairly after he eliminated Bret Hard, who was already eliminated but the referees were not aware. It was the first ever Royal Rumble win for Stone Cold Steve Austin. If Stone Cold Steve Austin will be appearing although for only a minor role, it is believed that the show will see Royal Rumble breaking attendance as it is expected that it would bring more than the 60,477 attendees recorded last time. 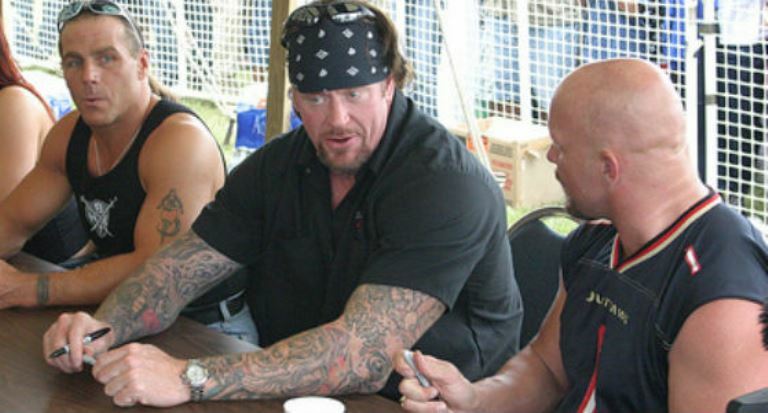 Aside from Stone Cold Steve Austin, Shawn Michaels, also known as HBK , and the Under Taker are also rumored to be there. Michaels was also part of the 1997 Royal Rumble after winning against Sycho Sid for the WWE title. For the Under Taker, rumors have been surfacing saying that he is done with wrestling for good. The last battle he had was with Shane McMahon at WrestleMania 32. Stone Cold Steve Austin is still recovering from a torn rotator cuff from an injury he sustained at WrestleMania 32 and has not yet commented on the matter. Michaels and the Under Taker are yet to comment as well.